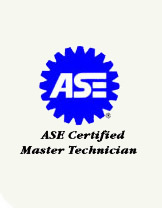 Ed at Special Ed’s is an Automotive Service Excellence (ASE) Certified Master Technician which means he has completed a battery of rigorous tests and has the extensive experience to reach the “master” certification. This certification gives you the peace of mind of knowing your repair will be done to the highest degree of quality. Special Ed’s Auto Service has been providing auto repair and maintenance services to the Helena area for over 15 years and we would like to develop a long term customer relationship with you. At Special Ed’s we’ve combined the best of two worlds: the back-yard mechanic and the dealer’s service department. You’ll receive the honesty, trustworthiness, personal attention, and affordability of a back-yard mechanic. You’ll also receive the experience, training, certification, reliability, and full service equipment of a dealer’s service department. You get all these benefits with virtually none of the drawbacks of either. Special Ed’s is located on one of Helena’s nationally known water-ski lakes. The shop is located adjacent to the owner’s home, however it offers everything you would expect from a full service shop including a large vehicle bay with lift, state of the art computer diagnostic equipment, and more. For a map, click here. We accept Visa, Mastercard, American Express, Cash, or Check. The first step is to allow us to provide a written estimate.